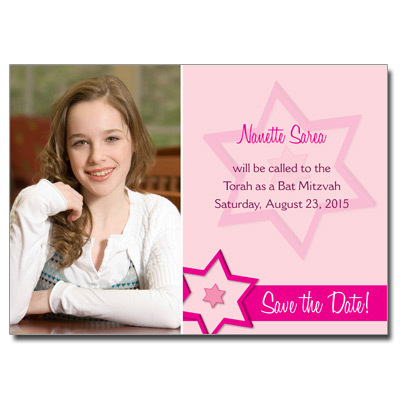 This Bat Mitzvah Fuchsia Star design is fun and colorful! 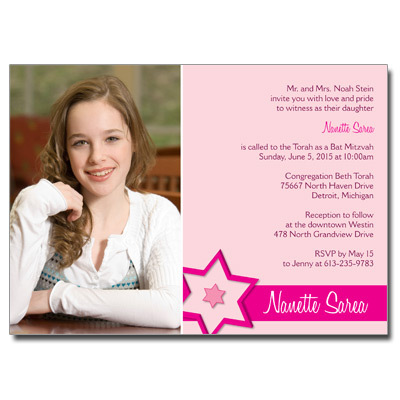 Showcase that young lady with your favorite photo. 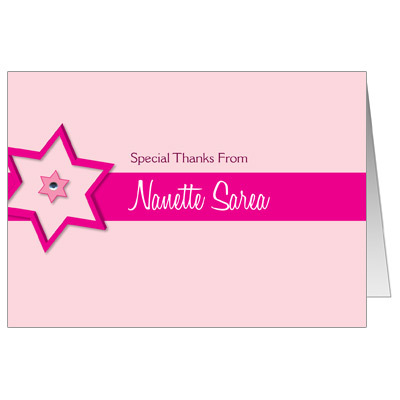 Card comes with self-adhesive press on jewels and white satin tassels. 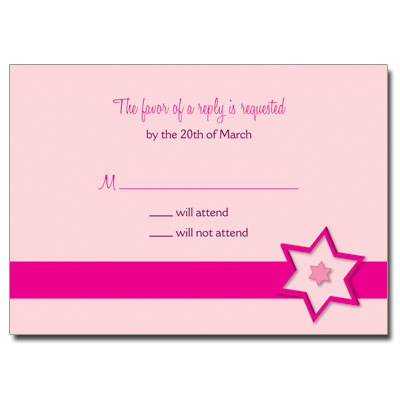 Light assembly required. 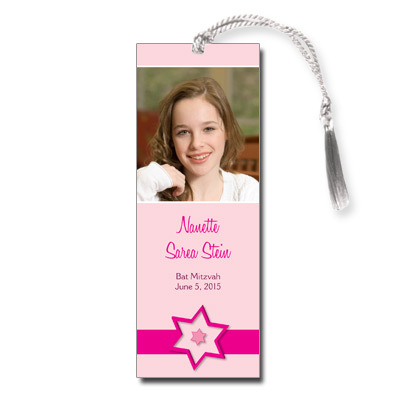 Our Bat Mitzvah keepsake bookmarks measure 2x5.5.